More than 200 new officers will be recruited by Northamptonshire Police over the next two years, taking the force to more than 1300 police officers for the first time since 2010, it was announced today. Taking into account those who retire or leave each year, this means that there will be nearly 100 more police officers on the streets of Northamptonshire in two years’ time. The recruitment drive will be funded in part through the council tax precept increase of £24 a year for a band D household that was levied this year. This increase has given the force a total budget in 2019/20 of almost £130 million, which is £11million more than last year and the largest budget the force has had for more than 20 years. Police Fire and Crime Commissioner Stephen Mold asked for £3 million to be set aside and invested to improve policing in ways that people said are important to them – neighbourhood policing; rural crime; burglary; anti-social behaviour and low-level drug dealing. Mr Mold said: “I’m pleased and proud to be able to announce this significant boost in the number of police officers in Northamptonshire. When I asked people if they would be prepared to pay more to fund improvements in policing, they were very clear on the issues that were important to them, particularly the visibility and accessibility of officers in their community. “The vision that the Chief Constable and I have set out today puts the force on a journey of improvement, not just in increased numbers of police officers but with a better focus and a better service. 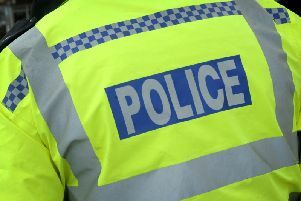 Northamptonshire Police also announced that everyone whose home is burgled will be visited by police, which will improve the service that people receive and support the investigation of crime. The extra resources will also enable the Chief Constable to strengthen neighbourhood policing with its focus on local problem solving, to engage with local communities and partner agencies and provide visibility and reassurance. PCSO and police staff numbers have also been protected. 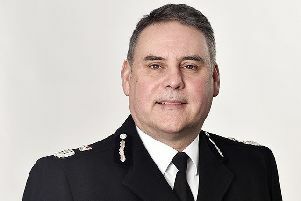 Chief Constable Nick Adderley said: “The extra funding provided to me by the Police Fire and Crime Commissioner will be used to address those issues which both I and the public feel are very relevant and pertinent to the quality of life for those who live, visit and work in Northamptonshire. "Every penny of the additional funding will be spent improving frontline services to allow greater visibility and accessibility to your policing service. “I am putting officers back into your communities to regain that trust, commitment and confidence in who we are and what we do. "The ambitious recruitment campaign will see more officers on the streets of Northamptonshire than for many years and will allow community relationships to flourish as well as help prevent issues before they happen. The investigation of crime will be strengthened, with the recruitment of experienced investigators back into the Force to mentor new and less experienced officers, improving their skills until the Force has the right number of trained investigators. Recruitment of the new officers has begun and anyone interested in applying to join Northamptonshire Police should visit www.northants.police.uk/careers. Mr Mold added: “This is a significant moment for Northamptonshire Police and this leap forward could not have been achieved without the increase in the council tax precept. I am grateful to local people for their support but I am not happy that Government funding has not kept pace with the growth in demand in this county.